Our Ridgmar location is at 750 Alta Mere Drive, Suite 300, White Settlement , TX 76116. Our new Ridgmar location was relocated from our original location in Mongomery Plaza, Downtown Fort Worth. We relocated due to the congestion in that area making it hard for our clients to get in and out. Our new location is in the Alta Mere Crossing Shopping Center on Alta Mere Drive. Being only a few blocks from the Ridgmar Mall we are easy to find. The staff at Ridgmar love their new location and the clients love the ease of getting in and out without the traffic congestion. Ridgmar have enrolled a lot of new clients from the immediate area. The weight loss results are amazing at this center. Rapid weight loss results, their motto is results, results, results. Lose weight today, keep it off tomorrow. 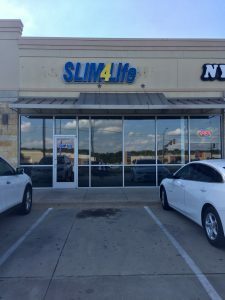 Make an appointment at our Fort Worth – Alta Mere Dr weight loss center today!